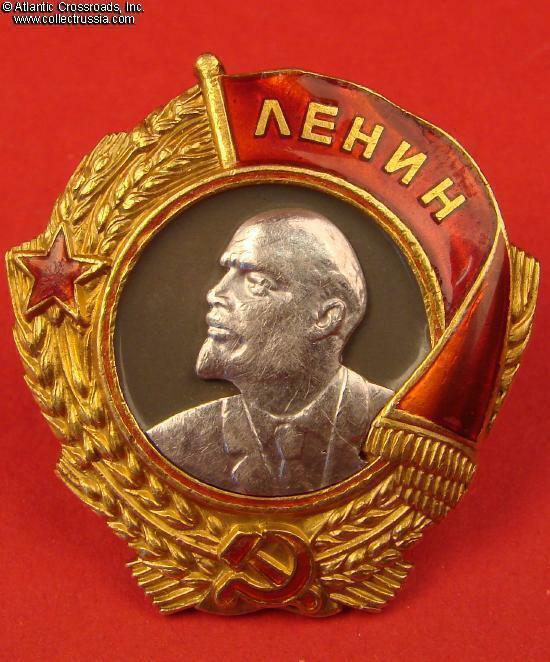 Order of Lenin, Type 4, Variation 2 , #10153, circa late 1942 issue. In 23 K gold, platinum and enamels. Measures 39.76 mm in height from the top of the banner to the bottom of the wreath, 38.1 mm in width; weighs 36.3 grams without the screw plate. 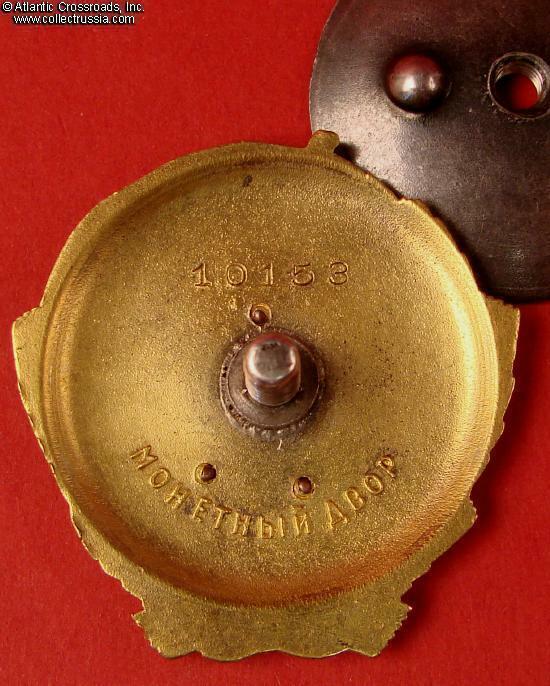 Features two-word word "Monetnyi Dvor" mint mark and single tier screw post base. 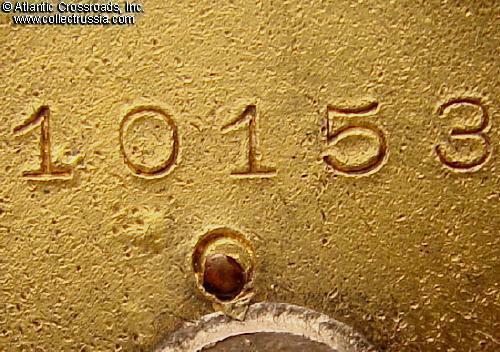 The number is stamped in standard manner above the screw post. In very fine condition. 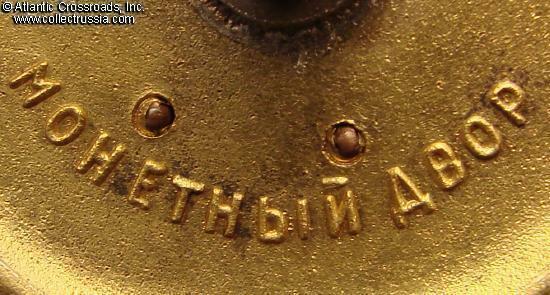 The enamel is far better preserved than the average screw back type Order of Lenin. 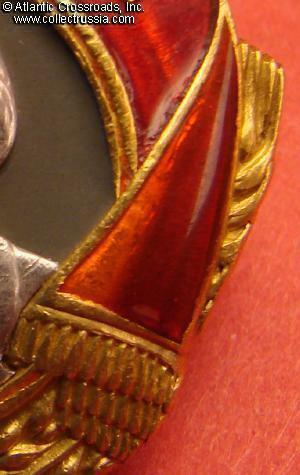 There are minor chips and flakes along the upper edge of the banner, none of them penetrating to the gold. The enamel elsewhere on the banner has light surface wear and contact marks but no serious damage. 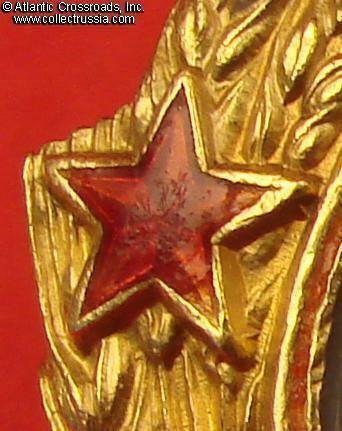 The red star has flakes and deep scratches near its apex, no penetrating chips. 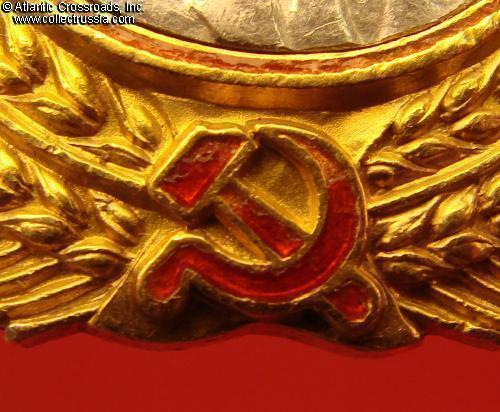 The red band around the medallion has flaking and a couple of tiny chips; the hammer and sickle emblem has a single small chip near the tip of the sickle and some flakes. 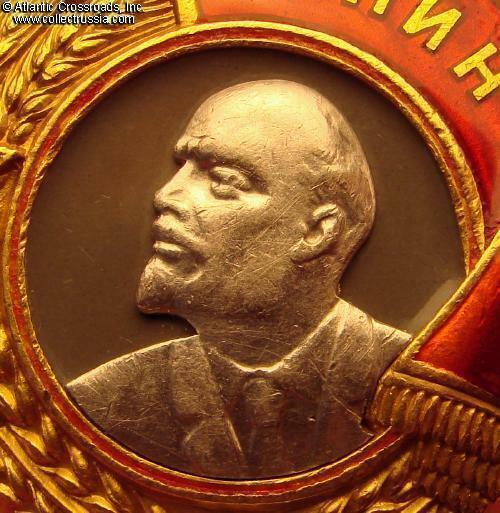 The grey enamel on the background of the medallion is perfect. 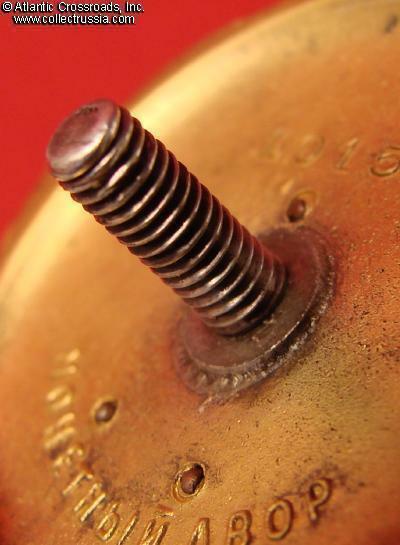 This order has not been converted to suspension and retains its original, full size screw post (11 mm long measured from the screw post base). 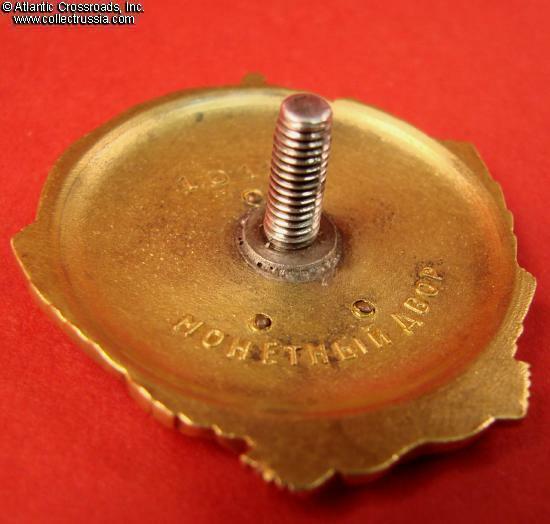 A period screw plate in silver is included. 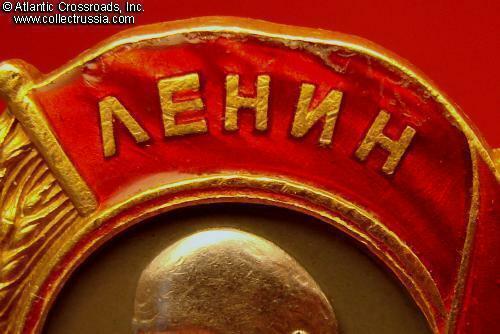 To reiterate, the wear to enamel is minimal, unlike the significant chips or repairs that we usually find on the Soviet orders issued in the first half of the Patriotic War. Overall, this is a very attractive piece!